As a trusted name in heating and air conditioning in Stillwater, at Prescription Heating & Cooling we are dedicated to helping you and your neighbors with all of their heating and cooling needs. We offer specialized services in the repair, maintenance and installation of heating and air conditioning systems and products. We know how important it is to our customers that they keep their family happy and comfortable. When a heater or air conditioner breaks down, it is important to get it back up and running as soon as possible. That is why we are dedicated to ensuring you get the service you need, when you need it most, from installing new equipment to repairing your existing furnace or air conditioner. Our heating and air conditioning experts offer friendly, reliable service ensuring you will be happy with the high level of customer service we provide. Just give us a call to find out more and we can get you on our schedule! Our Minnesota summers can be notoriously hot and winters can be quite frigid. Luckily, at Prescription Heating & Cooling we are well versed in the heating and air conditioning needs of the area. We have helped Stillwater and the surrounding areas with all of its heating and cooling problems for years. 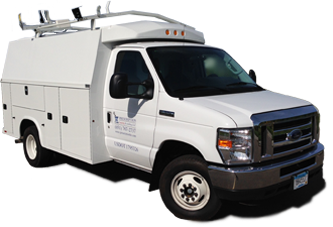 The Prescription Heating & Cooling team is made up of professionals, fully dedicated to the heating and air conditioning craft. We strive to constantly offer the best service and products around, delivering our customers quality service in the most knowledgeable and timely ways possible. 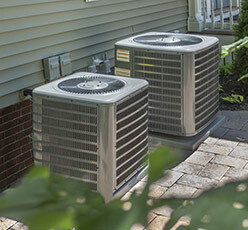 When you choose us, you can feel confident you’ve chosen the best in HVAC. We thrive because we believe in a personal, local approach, making a lasting commitment to you and your home’s comfort. When you give us a call at Prescription Heating & Cooling, we will send out a professional heating and air conditioning technician to inspect your equipment and see what the problem may be and what needs to be fixed. The technician will then talk to you about the work that’s needed and with your approval, begin the repair. And, if your HVAC equipment cannot be repaired for one reason or another, the technician can recommend the best unit to meet your home or business’ needs. We are fully licensed, bonded and insured. We are open seven days a week and even offer an after-hours emergency service. We believe that no matter what time or day of night, you should have access to quality heating and air conditioning maintenance. So, when you need reliable service for your heating and air conditioning in Stillwater and surrounding areas, give us a call at Prescriptions Heating & Cooling. Contact us at 651-767-2737 or get a Free Estimate on New Installations.